Stept stands apart from other major film companies in that they are truly a crew—a group of good friends looking to document their own season and unique style. With films that seem to buck traditional ski film formats and trends—last year's Mutiny was an hour-long urban segment with a decidedly dark tone—we're looking forward to this years' Ten and Two. 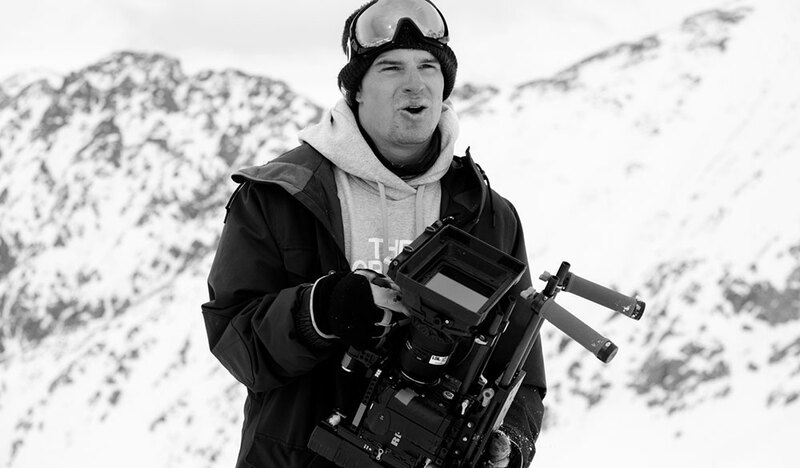 Stept recently announced that Ten and Two will be their last annual ski movie project, moving on to other opportunities involving filming and skiing. We caught Nick Martini, co-director, on the phone to hear about their vision for this year's film. We had a great year. We focused on working with our same core group, and a few people weren't around this winter so it was a small crew of four or five. It gave us the leeway to take a less traditional approach to the film, telling these guys stories and traveling with them all winter. We're really trying to help our audience get to know the characters in the film. So many action sports movies have 20 athletes in the film, and you don't get to know the person as well. We have the opportunity to help the audience make a meaningful connection with the people in the movie. These kids have amazing stories, and it's amazing to help tell those stories. We don't want to make the same movie year after year, and Mutiny was pretty far out, away from previous films. There were positive and negative reviews, and we want this year to be far different. Definitely not as dark. We've been working on so much film work these days, so there are a few other brands and projects that we got to tie in. The weather in the beginning of the year was a huge challenge. We were up in Montreal and Quebec, and it was the coldest month in the past 20 years. The majority of the days we couldn't even go outside to film. It was like 30 degrees below. The cameras wouldn't operate. Not storming weather, but just pure frigid cold. We stayed mostly in the U.S., traveling by caravan with a big walk in trailer and truck. The crew traveled the whole winter together on one big mission. With so many projects we've worked on, people are in and out, and this year everyone was all aboard all winter. We've been in the cities for a long time and we have that down pat, but the travel dilemmas you encounter are unique. We totaled two of our three cars, and, in one of the accidents, Charlie Owens broke his neck. He was done for the year at that point. That was super gnarly, totaling two cars in five days. I think, which is good news after the broken neck, that Charlie had one of his best years. He's dealt with a lot of bad injuries so he's always been in and out and this year he stayed healthy almost the whole way through. He had a great year and really killed it.